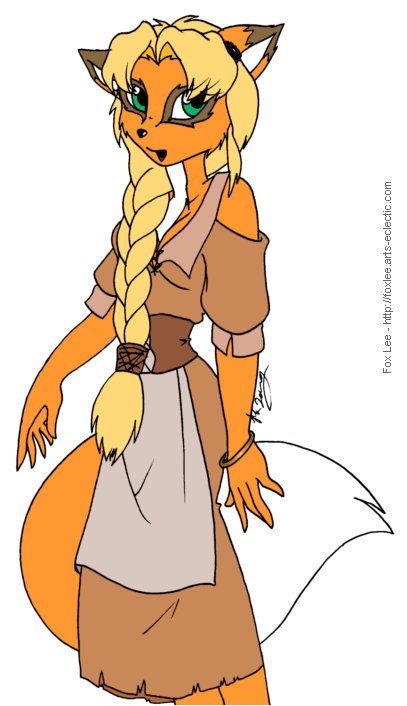 Verna Riverwind, Linnell's twin sister (twins, though not litters, are quite common amongst the erminet race). Verna is almost the complete opposite of her sibling, certainly never feeling the need to rebel against traditional sexism. However, she is also a secondary character, and those never have a very long life expectancy in my stories.